Hello, Everybody. Summer is almost over and fall is coming up next! My favorite Quick Quotes paper is the Cracklin' Rose Collection. As I think about fall, I cannot help myself but to break out that paper collection again. This time I decided to alter a coffee box into a photo display box using some wooden cloth pins. I can display my photo by clipping them in wood pins. I thought it was a brilliant idea to recycle my coffee box. 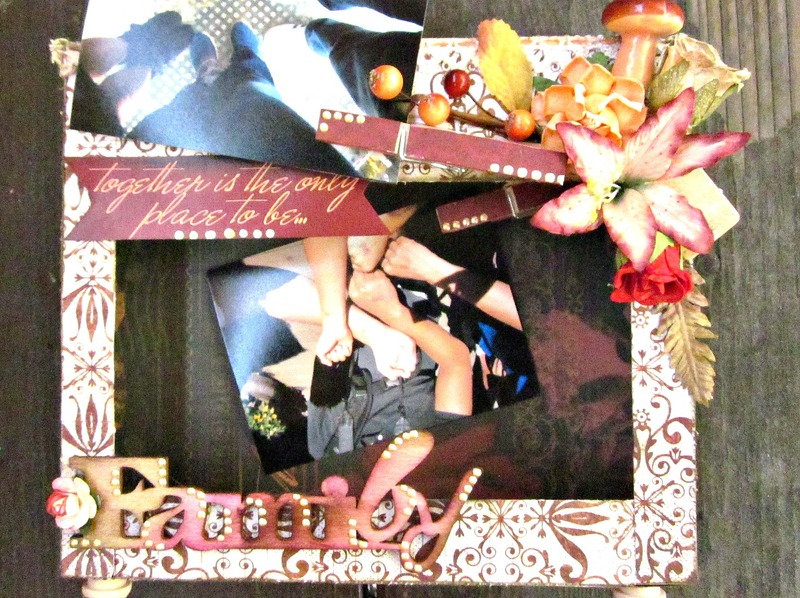 The colors of the paper is so much reminded me of fall that I have to decorate my box in fall theme. Thank you very much for stopping by and have a great weekend!